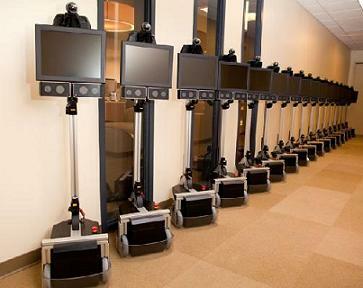 A recent New York Time’s article, “The Boss is Robotic, and Rolling Up Behind You”, discloses various forms and functions of what are being called “telepresence robots”, essentially travelling flat screen monitors with two-way video and audio. 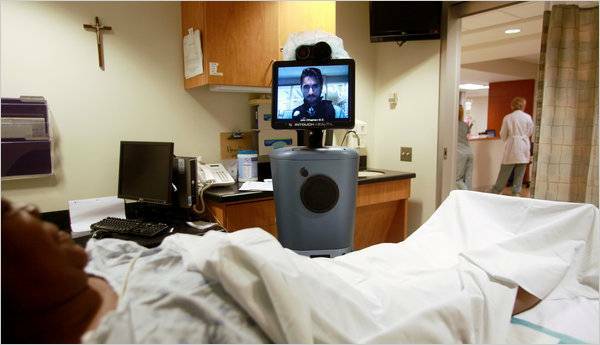 Incorporating already-existing telepresence technology with newfound mobility, the robots are being used in corporate and medical settings, filling the place of the person unavailable in the flesh. There are larger implications for these devices to be used for the handicapped and the elderly, though it will probably be some time before we start seeing these things show up at Target and obtain official commodity-object status. 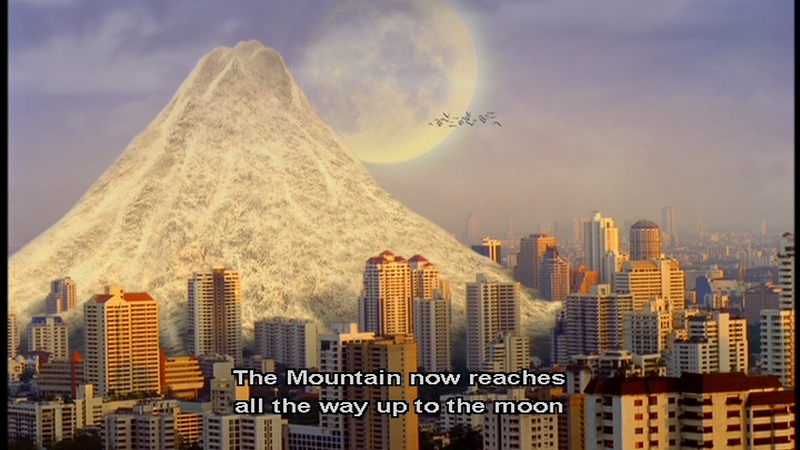 What I’m really waiting for is for the telepresence robot party, a sort-of Chat Roulette meets bumper cars scenario where a group of these devices manuever around a large-room, briefly talking and smashing into each other as they try to move away from the penises as quickly as possible.